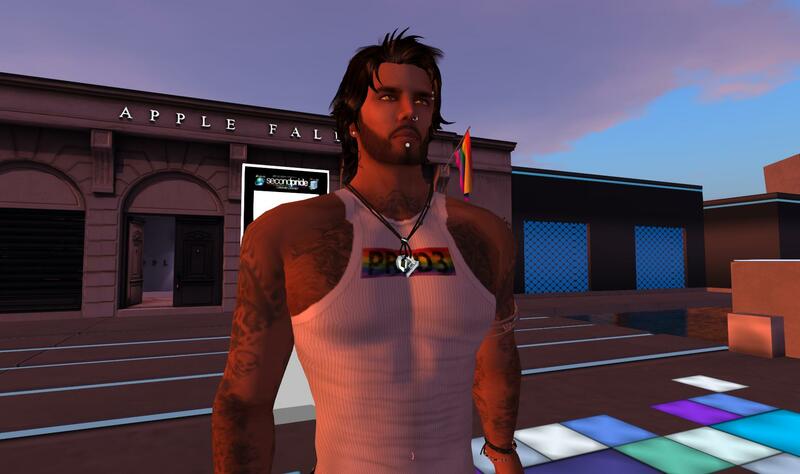 Pride is about feeling good about ones life and accomplishments and contributions to “the community.” Community in Second Life is hard to describe or put your hands on. There are social communities, business communities, and lifestyle communities. They never see eye to eye and sometimes just can’t seem to get along. That statement in my eyes is the reason behind Second Pride. 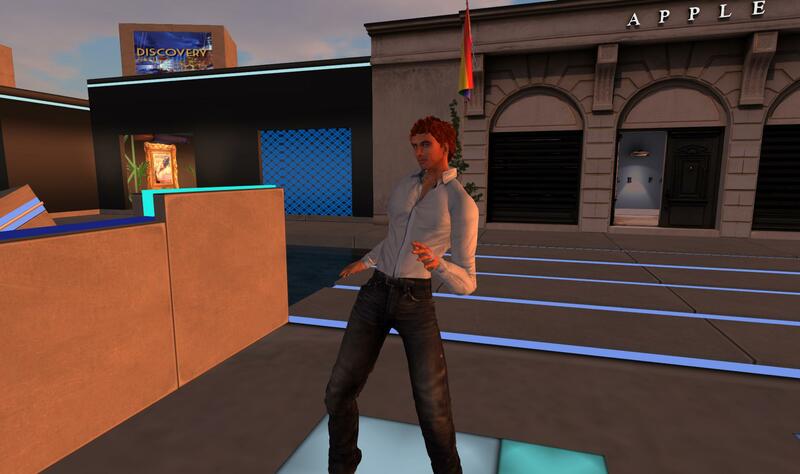 Second Pride is one of the oldest, if not the oldest LGBTQ groups in Second Life. It was established to bring the various communities together for a festival once a year to show ourselves off. 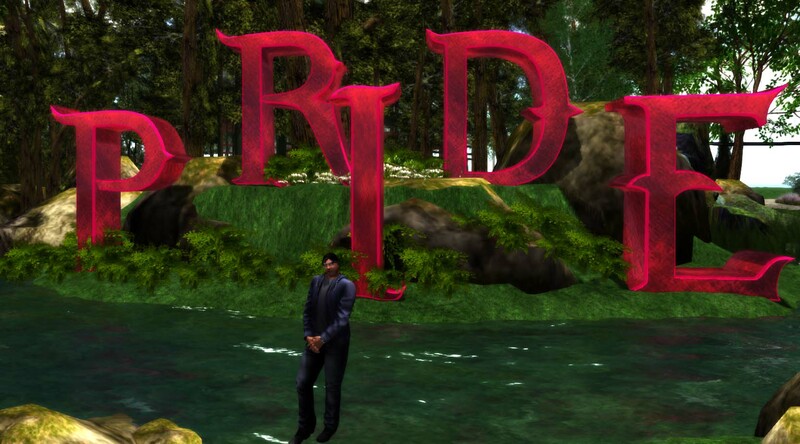 To show the good things that we accomplish in our every day lives both in SL and RL. In my eyes, I am going to state categorically, that it was not established as a self promotion tool for anyone involved. It was not established to be a super secret club for self-perceived movers and shakers. It was established to promote and bring together the entire community for at least 10 days every years to show off. In being able to serve the community the board has guidelines and a set of bylaws that guide it in accomplishing their job. Let me tell you its a big job. There have been ALOT of anonymous accusations of misdeeds in the past 3 years. From my year directly with the board never saw any of it. There have been a great deal of comments in the past of the board sitting on loads of money that should be distributed. There have been alot of unfounded accusations of board member just stealing money, I can’t speak for past boards, but I can say the accusations that flew when I was on the board were made up lies. Well as I stated the board was established to put on a yearly festival. Outside donations to charity are a byproduct of the festival. Three years ago the board voted to purchase a sim, instead of renting space to hold meetings. In establishing the sim, the board made available meeting and display space to smaller non-profits in world who would be better served not having to spend their resources on tier. They also established a Second Pride avatar that acts as the banker and is responsible for paying the bills. As with any organization/charity SP operates on a year budget. The tier fee for the sim is ~79,500 a month, which means that the board needs to budget 954.000Ls each year to just cover that cost. Then there is the cost of the avatars premium membership which is approximately 19,000Ls a year. After the festival the board meets to discuss and take suggestions for worthy in world or real world charities to donate the excess funds to. The board works with the charities and often seeks out charities that have an in world presence as the transfer of the funds is less complicated. Now that I have gotten that off my chest, Its time for the varied members of the community to come together. Elections for the Second Pride board will be happening soon. Its time to be involved, whether its standing for election to a board position or volunteering to help one of the elected board members. Details of the election have not been released but should be soon, stay tuned. One needs to take Pride in their own efforts, take Pride in the efforts of others and take Pride in their respective outcomes. A year ago when I made the decision to run for a position on the Second Pride board it was not a decision I made lightly. I had been in and around Second Pride since its beginnings. I even had a brief stint as an appointed board member a few years ago, until I had to step aside for personal reasons. I believe in this community. Yes it is a community. Communities are made up of many diverse individuals, groups and organizations. But in my mind what makes a community is having common goals. We might not always agree on how to reach those goals. But we all want to see life better for ourselves and our successors. This experience with Second Pride has helped me learn a great deal about myself and others. I believe in Camelot. I believe in a world where everyone looks out for their neighbor. I believe in standing for what is right for the common good. I wanted to try to reinvolve with Pride groups that had left for one reason or another. At least try to talk to them and find out why. Let me tell you I learned alot about patience (on my part) and deep seeded anger and hostility (on their parts). I won’t go into all the details. Spent lots of time talking but to no avail or think that things were being accomplished and then suddenly being back at stage 1. The board had a rough time this year. From the outright unruly election cycle, to behind the scenes harassment, to having many seats become vacant during the year. There have been many lies and half truths spouted this year about all those who have sat on the board this year. I can guarantee that there has been no theft of any funds during this year by any board member. The financials are posted on the Pride website for all to see. I want to thank everyone who has been supportive this year and everyone who served on the board for the community. It has been a long year and it culminated in a GREAT festival. There was great turn out, a busy schedule and loads of fun. I want to thank everyone for the hard work, all the vendors, all the entertainers, all the sponsors. Without you this isn’t possible. The one thing the board has left to accomplish is the Annual Meeting which will be July 19th at 11AM in the Second Pride Conference Hall. At this time we will review the year and the festival. We will also make announcements about the annual charitable donation and about the process/procedure for the upcoming elections. With all this said, I have just one more thing. Its been a pleasure and an honor to serve the community this year. I have chosen not to run for re-election for personal reasons (both SL and RL). I wish the everyone strength and happiness. The past 6 months have been interesting for many good and many not so good reasons. There have been some highs and lows for us but that is old news and its time to look forward. Its time to step up for the greater good. Its time to put petty personal issues aside and ask what can I do to make this a better place. What we do in Second Life and how we represent transcends itself to RL and vice versa. Its time to ask what can I do to make things better for someone else. I go through ups and downs of liking and not liking Facebook. But on occasion there are some VERY interesting items pass through my timeline that make me stop and go “hmmmm.” Most recently was a post by Dan Savage on The Stranger about homophobia in Ireland. Can be found here if you haven’t seen it. It brought me to a beautiful and eloquent speech by Panti Bliss, who according to her wikipedia page is Ireland’s foremost drag queen. Please take the time to read Dan Savage’s piece, it lays out the background of what Panti is referring to in this video. As Dan said few people in North America had ever heard of Panti until now. I have spent the past few days learning more about her. What she said in this speech hit home with me on many levels. And it carried a great deal of meaning for me both for my SL and my RL. Homophobia runs deep in everyone’s life. In and out of our community. There is strong hate and dislike for certain members of our community from within the greater community. This is for me a really sad state of affairs. One thing that Panti said, ” I do, it is true, believe that almost all of you are probably homophobes. But I’m a homophobe. It would be incredible if we weren’t. To grow up in a society that is overwhelmingly homophobic and to escape unscathed would be miraculous. So I don’t hate you because you are homophobic. I actually admire you. I admire you because most of you are only a bit homophobic. Which all things considered is pretty good going. I keep my head held high. I have overcome alot and am at a comfortable place in my life. I have learned to appreciate others and the diversity around me. I respect your opinion, I might not necessariy agree with it, but it is your oninion and you are entitled to it. In my research of Panti, i came across this video shot last year at 30th anniversary of Dublin Pride. She present wonderful remarks to open the event and brings into perspective the difference a community can have and how we can work around those difference for the greater good. Please consider this an open call to everyone, Step Up, Step out and lets move forward. The “It Gets Better Project” was started by Dan Savage and Terry Miller when they uploaded a moving video to youtube. Please take a moment to wander through the website and watch the video. Last year just before Second Pride I asked several people in Second Life that I know if they would be willing to help create some posters in SL in support of It Gets Better. So was born the first 32 images in the collection, they represent a wide variety of people and experiences. I hope that at Pride last year they got alot of people talking and thinking. After the festival, I was pleased and honored to have Draghan Marksman, owner of the LGBT Civil Rights Center at Brokeback Pride HQ, ask me to show the images at the sim. When Second Pride Festival 2013 opens you will be able to find the collection at its second home, in a space graciously donated by the Pride committee. I would like to leave you now with the latest image to be added to the collection. I will let the words speak for them self. Just remember, It Gets Better.